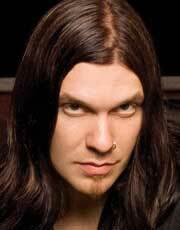 Brent Smith was born January 10, 1978 in Knoxville, Tennessee. Brent was influenced by Otis Redding, Billie Holiday and Chris Cornell among others. His career as a vocalist began n the early 1990's. He was involved with a number of bands including Blind Thought and Dreve. Along with Barry Krech, Brent as a founding member of Shinedown. Brent has written songs for and collobrated with artists such as Daughtry, Saliva and Apocalyptica.